How to Use Your Pressure Cooker as a Slow Cooker: It is not as straightforward as you would think to use your Instant Pot as a Slow Cooker. This walks you through the modifications you need to know when using your pressure cooker as a slow cooker. 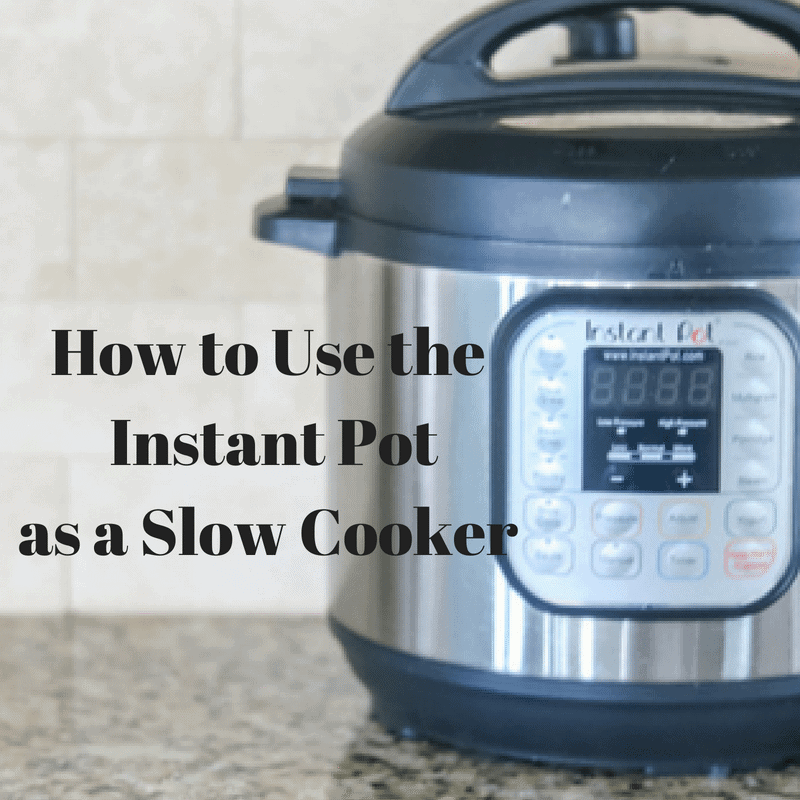 It is not as easy as hitting the slow cooker function on your Instant Pot and expecting the Instant Pot to cook the recipe just as the slow cooker would. I briefly cover using the slow cooker function on Instant Pot Functions, but this delves into the topic a bit more deeply, giving you the recipe for success when using an Instant Pot as a Slow Cooker. 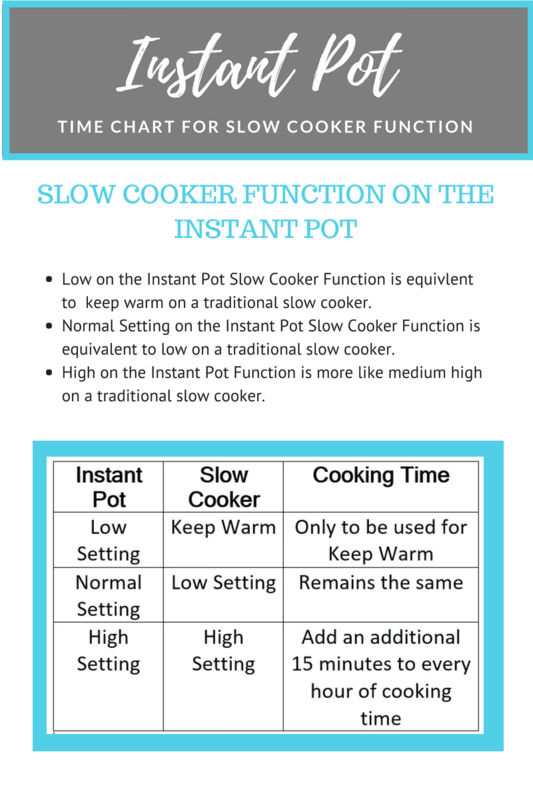 The Instant Pot Slow Cooker function is not equivalent to the temperatures on a slow cooker, which can make using your instant pot like a slow cooker tricky. Low on the Instant Pot Slow Cooker Function is like keep warm on a traditional slow cooker. Medium on the Instant Pot Slow Cooker Function is like low on a traditional slow cooker. High on the Instant Pot Function is more like medium high on a traditional slow cooker. For the slow cooker function on your instant pot the low an is about 170 degrees, normal is 200 degrees, and high is 210 degrees. Always be sure that there is at least 1 cup of liquid in the recipe. If you want to cook a recipe like you would on low in a slow cooker, adjust your slow cooker to “normal” on the slow cooker function and cook for as the recipe calls to cook on low. If you want to cook a recipe like you would on high in a slow cooker, adjust your slow cooker to “high” on the slow cooker function and cook for as long as the recipe states PLUS an additional 15 minutes for every hour. While this post was designed to teach you how to use your pressure cooker as a slow cooker, the whole purpose of the Instant Pot is to SPEED up cooking. I have made beef stew in my Instant Pot using a recipe designed for the Instant Pot. But I wanted to try a classic crock pot recipe that won’t work in the Instant Pot so I decided to try the slow cooker setting. So I put the meat in the Instant Pot an d browned it. Deglazed with a little wine. Added the other ingredients, mixed it and cooked it for 5.5 hours on high. The result was it wasn’t even remotely cooked. So back in on medium for another 6-7 hours. The carrots were cooked but barely and the potatoes were not cooked enough. So now I’ve put it back on at high for another 6 or so hours. Hi William! I am glad you found these instructions, because using your IP like a slow cooker, is more complicated then you would think. I would cook for 8 hours, add in 1 cup stock of your choice and cut the potatoes in half. That should work MUCH better. I used your instructions tonight to make pot roast. It came out perfectly – thank you! Oh I am so glad Nicole!! I hope this saves you so much time in the future. Do you keep the pressure closed for soups? Hi Susie, yes you definitely want to keep the pressure closed for soups. Really the only time to leave it open is for keep warm or yogurt function. So glad to have found this post! I am following the directions now, just in time, as I almost used a standard slow cooker recipe. Whew! YAY! I am so happy this helps! What if you want to stir a stew that’s on Slow Cook? What is the process to take off the lid and continue cooking? Because the lid does not seal while slow cooking, you can remove the lid at any time to stir the contents. A lot of people even purchase clear glass lids for the pressure cooker to use when slow cooking. oopsy? – are you really sure that High takes an extra 15 minutes per hour over Normal/Slow where time stays the same? Hi Alan, while it may not make sense, that is correct. The normal slow cooker function on an Instant Pot is like the low setting. The high slow cooker function on the instant pot needs the cooking time adjusted. You misunderstood. HIGH Slow cooker setting on the Instant Pot is actually lower than the high setting on a traditional slow cooker, hence the longer time. Shan, Geez take it easy. Read what she says, read the temps. She is correct. My instant pot duo does not have an adjust button. How do I change the cooking temperature? Hi. Trying to use the IP as a slow cooker. I have the IP Nova Plus. The temp setting, you’re mentioning…am a little confused. By pressing my “slow cook” button on the display, I see that temps may be changing to low, normal, or “more”. I hope that means low, medium, and high. If you can, please, let me know. Thanks. This was SO helpful – thank you so very much! I was wondering why my favorite slow cooker short ribs recipe didn’t cook all the way after 9 hours on the low setting with the Instant Pot – now I know! I have a beef barley soup in there on Normal and I am much more confident about it now. When using the slow cooker do you Vent or Seal? Either is fine, but with slow cooker function, the instant pot will not reach a high enough pressure on slow cook function to seal. I have search forever for how to cook my pre cooked ham in my instant pot. I’m actually fixing 2 hams. One in reg crock and one for IP. Do you suggest setting it on medium for 4 hours? Also should my ham take a cup of liquid? What liquid do you suggest? Fixing early am for 12 lunch. I tried cooking a pot roast the other night. I used the normal setting for 12 hours and vegetables were hard and the roast was not cooked through. I set on high until the vegetables were cooked but I found later that the roast was still pink. I had to finish cooking the roast in the oven at 350 for 30 minutes and I sliced up the roast. I have not attempted slow cooking again yet. It seems that maybe the only setting that would work is the more (high) setting. Wow! I’m really glad I came across this post. Trying a new crock pot soup recipe that requires sautéing so I thought I’d give my IP a try and use one less bowl/keep all those delicious bits together. I had originally set it at less thinking it was equivalent to low. We have company coming and that would’ve been a disaster! Soup is cooking away now. Fingers crossed. Yay!!! So glad this post helped you out. Enjoy that soup. Hi Kristy! I understand the pressure cooker is intimidating until you really understand it. I have this post on Instant Pot 101 to help OR I have a course with videos explaining everything–sometimes it helps to watch the video. As for your chili recipe–once you place all your ingredients into the Instant Pot, you hit slow cooker, then adjust the timer with +/- buttons to set time you want. So right now it is set for 8 hours. You can stop it before, but 8 hours on the Instant Pot under slow cooker function would be about the equivalent to 6 hours in a traditional slow cooker. You may also want to use my recipe for IP Chili that is much quicker. Please reach out any time with questions. I am so glad your chili turned out and this post was helpful. If you use the slow cook method for beef stew and it’s not tender…cant you just pressure cook for 15 min or so and correct the time difference? I just got the Insta pot for Christmas. Today I wanted to make French dip sandwiches for dinner, I have the roast cooking on the slow cook option on normal for 7 hours. I’m I doing this wrong? I’m thinking of trying a slow cooker vegetable lasagne tomorrow – most recipes seem to layer the ingredients straight into the pot but thus will make a very large lasagne! 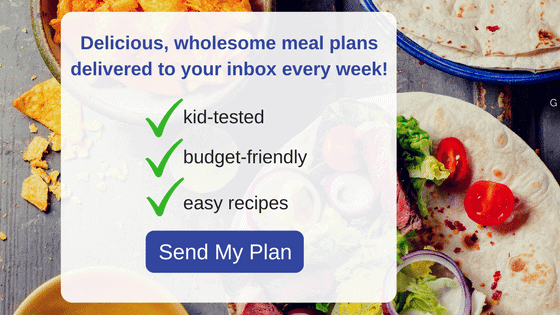 Could I use a foil tray to make it in – will it affect the temp the instant pot reaches? Should I give it a little longer do you think? That is a TRICKY recipe for the pressure cooker if you are using as a slow cooker. I would instead follow my method to making Instant Pot Lasagna (just use the vegetables that your veggie Lasagna calls for.) That method uses an oven safe dish or springform pan. Here is my recipe: https://amindfullmom.com/instant-pot-lasagna/. I would be happy to help further if you need it. Thank you so much for your speedy reply! Hi! I thankfully came across your post before I made Italian beef sandwiches. It called for 10 hours on low in a crockpot, so I set my instant pot to 10 hours on medium this morning. However, it was not cooked. I switched it to the high setting and 2 hours later, still not cooked. Not sure what I did wrong. Any suggestions? Thank you! Hi Dev! It may have been a tougher cut of meat, but after 12 hours total time, I would have imagined it would have been cooked. In the future, I would only use the HIGH setting for slow cooking or use my French Dip Recipe to cook in pressure cooker (about 20 minutes per pound on High Pressure). I have a beef stew in the Instant Pot right now on high slow cook setting. When I put it in I was going to cook for 5-6 hours on high, per the regular slow cooker recipe. I don’t have time to add an additional 15 minutes per hour as my guests will be hungry. Instead, could I slow cook on high for 6 hours and then pressure cook for a short time? If so, how long? Hi Debbie! I have never made anything with tapioca in the pressure cooker, but I do know recipes for tapioca pudding do exist–so it SHOULD be okay. I would cancel slow cooker and cook for 15 minutes on high pressure and let pressure release naturally. It may need longer, but my guess is after how long it has been cooking already, it will not. Sorry I can’t give you a definitive answer. Thanks for the quick “emergency “ advice!! Hi! 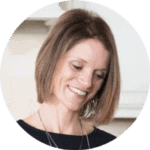 Thank you for sharing what you learned about using the slow cooker option. I too am up against the clock. I want to change the roast to pressure mode to finish it….BUT, will I have a problem because I first coated the roast with flour before searing it. The roast is almost covered with liquid and has been slow cooking for 2 hours. Will the flour cause a problem with the IP? 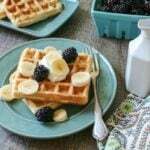 I read your advice above about using a cornstarch slurry. Should I finish my roast in the oven because of the flour? Thanks! Hi Debbie, I really do not recommend using flour in your pressure cooker. You can try to turn it to High Pressure and cook for 25-40 minutes (depending on how much the roast is already cooked) If you get the burn warning, you will need to transfer your roast to the oven. I know that is not definitive answer, but you MAY not get a burn warning with sufficient liquid, or you could. Hi! I’m new to instapot and trying out the slow cooker function. When I push the slow cook button it automatically turns on “keep warm”, even if I change to “more” for the high setting. It doesn’t seem to be heating up very hot.. then I turned off the keep warm for an hour.. it was still on slow cook and “more”, but still didn’t seem to get very hot. I’m not sure how to set it? Thanks! Hi Debbie! I may be misunderstanding you, but to use your slow cooker function you need to hit your Slow Cooker Function on your Instant Pot and then hit the adjust button to change the setting to “normal” or “high.” It sounds like you maybe didn’t hit the adjust button, and used the =/- button. But it may be your model–let me know and I can help further. Also, watch the video on this post, it will help for you to see me adjusting the temp to help you. Hope that helps! Does the glass lid have to have a steam vent hole in it to use the pressure cooker as a slow cooker? Thank you so much. I have a lid with from another pot that fits my Power Cooker Pressure Cooker but all of the lids I looked at online had a steam vent hole. Thank your quick response and all of the helpful tips. So glad I found your website. Is it possible to change the temp when ‘slow cooking’ from 4 hours to 7 hours? I’ve tried many things but can’t get the cook time to change once the cooking is underway. I know now to select the time BEFORE I start cooking but…..I didn’t due to ignorance. Should I wait for the 4 hrs to expire and then restart for another 2-3 hours? Also thanks for the tips re the levels of heat. I should be using ‘more’ rather than ‘normal’ for my pulled pork. Fortunately it’s for tomorrow, not today. 🙂 Thanks! Hi! I am making a 3lb boneless turkey breast for the 1st time using slow cook method and the reciepe says 5 hrs on low. So, by what I’m reading that would be normal or on mine medium… right? Also, it said no liquid needed, but again by what I read I still need at least a half cup water or liquid, so I used chicken broth with water mix… right? My question is… Using medium temp for 5 hrs is that going to be enough time? Hi Phyllis. I prefer using my Instant Pot Turkey Breast instead of using the slow cooker function. It can be tricky, as I state in my post. If you really want to use the slow cooker method, 5 hours SHOULD be enough time, but test with an internal thermometer to be sure your turkey has reached 165 degrees. If it has not, increase to high slow cooker and cook for another hour. I hope that helps. I am trying to make vegetable soup in my IP using slow cook. My machine doesn’t have an adjust button to change the temperature. After 4 hours on normal it is tepid, spinach hasn’t even begun to wilt. Help! Hi Lynda, since you can’t adjust the temperature, I would cook on high pressure for 20 minutes. I hope that helps. Thank you! I am making Mac and cheese. It takes 3hours and 15 mins in the crockpot. I just read what you have put instant pot on normal and the hours stay 3 hours and 15mins. I hope that’s right? If I read it wrong please let me know. That thing is scary! I have tried twice to use my Instant Pot slow cooker setting and it has failed both times. The second time, I used the high temp setting for 8 hrs and the food was still not cooked! I finally just set it to pressure cook for 30 mins and it was ok. Still not as good as slow cooked, but at least it was edible. UGH–sorry Joyce, as I stated it is NOT my favorite function of the Instant Pot. Thanks to your article, I’m ordering a slow cooker today. After a slow cooker recipe listed cook time as 4 hours on high, my Instant Pot meal wasn’t bubbling or cooked after 7 hours. This was my second slow cook fail in my IP. Buying a slow cooker is well worth it for me not only to save time but to not waste food or money using the IP slow cook feature. Interestingly, wonder if using the glass IP lid vs. the main lid made for slow cook feature delayed the cook time even more? There is a vent hole on the glass lid and does fit securely. Hi Ryan! I am glad you found this insightful. I think you will be happy to have both an instant pot and slow cooker. And I tested a glass lid and saw no difference, but that is a GREAT thought. Sometimes the simplest things make the biggest difference. Do these same principles apply for the Ninja 101C pressure cooker? I was wondering because I had the same issues with the slow cook function. If you could confirm that would be great! As I said before, I’m in the dark. I would appreciate any help.